The Towne Crier is pleased to present the 9th Annual Breakfast with Santa hosted by Elf Tinsel (Miss Vickie) with help from Elf Bob and Little Santa. 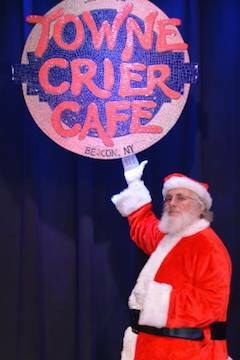 Price includes coloring book and crayons, a full breakfast buffet and special holiday ornament craft -- plus pictures with Santa. Reservations recommended.